Puma Quispe, in association with Ed Liebfried of Divine Within, LLC (Guilford, VT) invite you to join us for a journey of initiation in Peru. 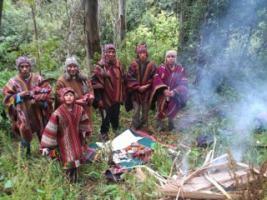 This is not the typical Sacred Valley journey. You’ll experience the “Hatun Karpay” over a 10-day period, in traditional sacred locations in Cusco, the Sacred Valley, Machu Picchu and climaxing with our great initiation at Apu Ausangate – perhaps the most sacred mountain in the Andean tradition. Puma is a master altomesayok, trained traditionally yet fluent in English and a master tour guide. Trip Organizer Ed Liebfried is a mesa carrier in the Andean traditions, taught and initated by several Q’ero elders as well as by Puma himself. 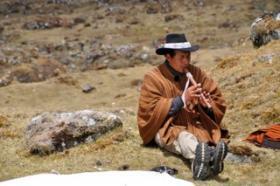 He is a graduate of the Four Winds Society and has been seeking the authentic connection to the Andean traditions for the past 10 years.